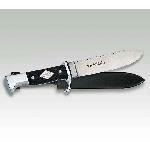 Bowie knives from Solingen - Large selection of Bowie . Dagger - Daggers from Solingen ISS Solingen cutlery . Linder , Puma Herbertz . 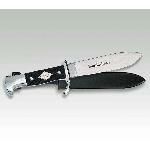 Dagger with 440A stainless steel and handle genuine stag . Stainless guard and pommel , sheath thick leather . Blade length 15 cm . 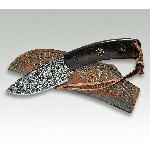 Friedrich Hartkopf hunting pocket knife from Solingen , steel 1.4110 , Hirschhorn , nickel silver ( € 94.95 -Stück ) . High Jagdtaschenmesser for hunting , hobby and collecting . 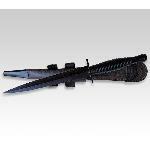 Belt knife survival knife outdoor knife combat knife . The classic pathfinder knife with drop forged 420 stainless steel blade. Metal handle and sheath.